U.S.-based online brands like Google, Netflix and YouTube basically dominate the scene these days. The various controversies brewing at Tim Hortons have caused the iconic coffee chain to drop significantly on a ranking of Canada's most influential brands. But the controversy currently swirling around big tech companies' use of user data isn't likely to unseat their brands at the top, pollster Ipsos says. In its latest survey of influential brands, Ipsos found that U.S.-based Google came in first and Facebook ranked second, just as they did the year before. All six of the highest spots in the 2018 survey were taken by U.S. tech giants. 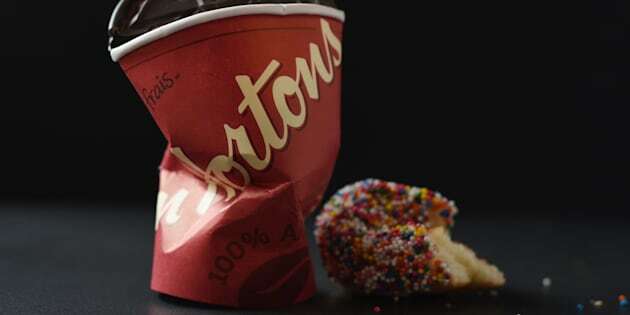 Tim Hortons' decline in the rankings — dropping to 16th place this year, from ninth the year before — was at least partly due to the bad publicity the company experienced over the past year, says Ipsos' chief operating officer for Canada, Steve Levy. 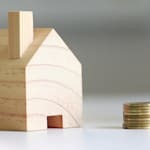 The company has been engaged in a protracted and often public argument with its franchisees, who say head office has been unfairly offloading additional costs onto them. It recently took flak from the public when some franchisees responded to Ontario's minimum wage hike by cutting paid breaks and reducing benefits. "Issues with franchisees, public protests outside stores, a bit of bashing from the premier (of Ontario), you add all of that up, and would that contribute to their move down? For sure it would," Levy told HuffPost Canada. Levy says the companies that perform well are often the ones that change consumer behaviour. For instance, Netflix is changing the way people consume television, and this year, the streaming service entered Canada's top 10 brands for the first time. Levy says many online U.S. brands are topping the ranking because "repetition creates opportunity" — people interact with brands like Google, Facebook and Apple multiple times a day, giving those brands more exposure than ones consumers interact with less frequently, like mortgage lenders or car companies. This year's survey was carried out in January and so wouldn't reflect the news revealed this month that the personal info of 50 million Facebook users was exploited by Cambridge Analytica, a U.K. company working to elect Donald Trump in the 2016 U.S. election. But Levy says the controversy may not have as much impact on tech companies' brands as people expect. "The fake news and election-related hype that we've seen in the media, it isn't new as of March of this year," Levy told HuffPost Canada. "It was happening earlier, but it didn't impact Facebook at all, not in this country anyway." Levy suggests that may have to do with the complicated nature of the problem — online privacy and data-sharing are abstract problems, and their impact on individuals isn't always clear. Compare that to Samsung's problem with exploding batteries— a simple problem to understand, and an easy-to-grasp risk to consumers. Samsung dropped in the Ipsos rankings in 2017, but recovered in the latest survey. In its survey, Ipsos looks at 11 "attributes" of a brand, including such things as whether the brand has changed the way people lead their lives, the way they shop or interact with each other, and even whether it has made consumers' lives more interesting, Levy says. For this year's rankings, Ipsos surveyed 6,000 Canadians through an online forum. It weighted the answers to reflect the demographics of Canada's adult population, according to data from Statistics Canada.